The Conti family of New York still looks at their photo album from the Inheritance of Hope Legacy Retreat at Disney World in January 2011. Larry Lanham, his wife, Michelle, and daughters Madison and Maggie raise sheep and cattle on their 38-acre farm in Corbin, Kentucky. Larry has worked the same job providing housing for the elderly for 26 years. However, the last five years have been anything but stable for the Lanham family. Before last summer, neither 17-year-old Seth nor his 13-year-old sister, Mandie, had ever been on an airplane. 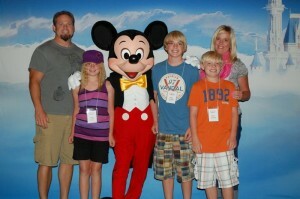 Yet in June of last year, the entire Felker family from Alliance, a small town in northwest Nebraska, boarded a plane to Disney World in Orlando, where they enjoyed a Legacy Retreat unlike their usual family road trips in the Midwest. 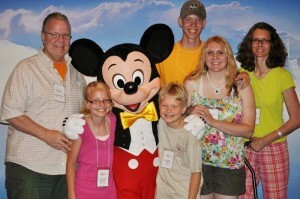 “Believe it or not, this was the first family vacation we’ve ever had,” said Mark, father of the four Felker children. The Blevinses are made of tough stuff. 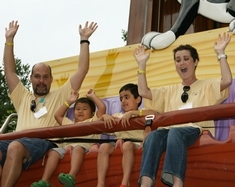 The Heinzelman family attended Inheritance of Hope's first Legacy Retreat, which took place at Lake George, New York, in the summer of 2008. Three and a half years later, the family has fond memories of the weekend. Yet the Heinzelmans are getting by without Mark, their husband and father who died of cancer more than two years ago at age 42. Imagine pinching your nose shut and breathing only through a coffee straw. "It feels like you have asthma and emphysema," said M'Leigha Graham. The average human trachea, the windpipe that carries air to the lungs, is 15-20 millimeters wide. When Graham sought medical treatment in 2010, her trachea was measured at 4 millimeters wide - about the width of a coffee straw. 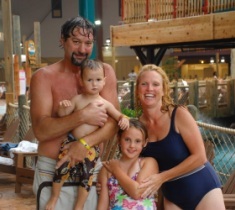 The Fields family from Vicennes, Indiana, had plenty of challenges already. 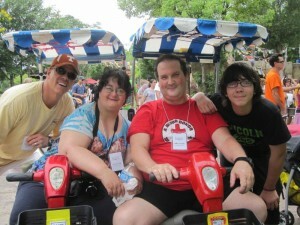 Lisa had been battling a kidney disease and diabetes, and her 14-year-old son Isaac was diagnosed with kidney disease. Then Ollie found himself unable to continue driving trucks and left his job. 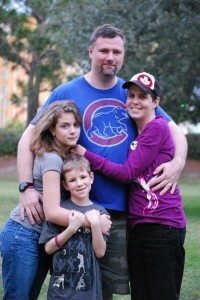 Shari Elliot and her husband Rob are self-described Google researchers. 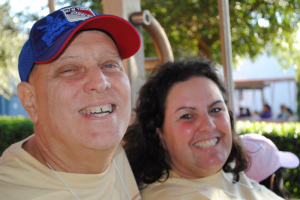 The couple living in Bradenton, Fla. browses message boards and networks with cancer patients. Both veterans of the medical industry, they are not afraid to look up scientific journals and read detailed reports about developments in cancer treatment. 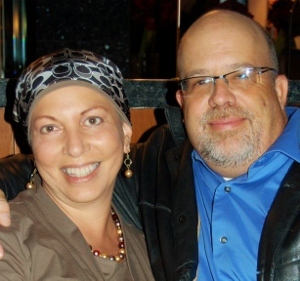 This information is important for Shari to accomplish her personal goal: to live for 10 years after her diagnosis. “I’ve got a different perspective,” Tom Dodd said. The engineer from Seneca, S.C. became a widower almost three years ago. Dodd and his two adopted sons moved closer to his parents, took a new job and remarried after the loss. He received support from friends and strangers, and now can reflect on the unanticipated blessings of his changed life. “I see things from the other side of it,” he said. 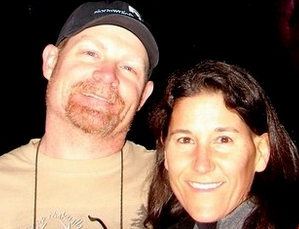 As the sun rose on the morning of July 3, Cheryl and Matt Broyles were climbing Half Dome in Yosemite National Park with their two sons: Grant, 14, and 12-year-old Clint. Gripping the cables that assist climbers on their ascent, the family enjoyed a majestic view over the natural treasure as they hiked toward the heavens. “The scenery there, the grandeur of the canyons and valleys, the snow-covered peaks, the sunrise on a perfect day was just another confirmation of God’s power, and he created that for us to enjoy,” Matt said.